There is an overlap in presentation between chronic prostatitis and chronic pelvic pain syndrome in men. It presents in young and middle aged men at a prevalence rate of approximately 6%. It can either be associated with an initial episode of prostatitis or mistaken for and treated as chronic prostatitis where there is no response to antibiotics and all other urology tests are negative. In this case there is no prostatitis at all. Chronic pelvic pain in men can be a painful debilitating condition. 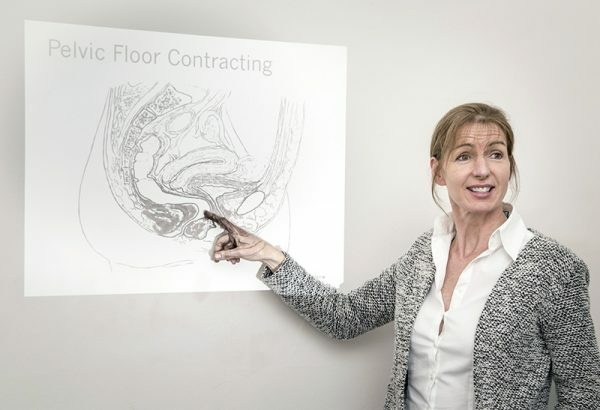 There are many cases where it is just related to posture and overactive pelvic floor muscles. Type I: Acute Bacterial Prostatitis – Caused by bacteria and treated with antibiotics men have severe urinary tract infections that may be accompanied by high fever, chills, and even the inability to urinate. Type II: Chronic Bacterial Prostatitis – Typified by recurrent urinary tract infections an infection within the prostate gland causes the symptoms. Type III A and III B: Chronic Non-Bacterial Prostatitis (Chronic Pelvic Pain) – Type IIIA signs of prostate inflammation are present, but no obvious infection is found. Type IIIB symptoms of bacterial prostatitis are present, with no evidence of inflammation. Type IV: Asymptomatic Inflammatory Prostatitis – Signs of inflammation within the prostate, however the patient experiences no symptoms. Lifestyle and quality of life are almost always affected. Men usually present with an overactive pelvic floor on examination. Poor posture and abdominal and breathing holding patterns can often be found. The use of manual therapy and dry needling forms a key part of this treatment as well as setting out comprehensive exercise programs.